My wife and I love to travel and we have a 21 ft. Heartland Edge M21 travel trailer. Although the Toyota was adequate for towing our trailer we needed something with a little better towing capacity, as well as off road capability. While the FJ Cruiser had a maximum towing capacity of 5000 lbs. the Jeep has a 7200 lb. capacity. 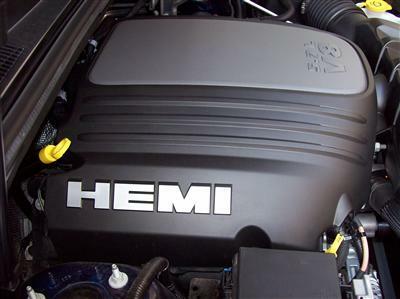 Our Grand Cherokee has the 5.7L Hemi V8 engine which puts out a solid 360 horsepower, and 390 ft/lbs of torque which is plenty for our towing, and off roading travel needs. Our Jeep also has the 4x4 Quadra-Trac II, Adaptive Cruise Control, Tow Package IV, and the Luxury Package (lots o' bells and whistles). I opted not to get the Quadra-Lift Air-Suspension System because I hope to put a mild lift kit on this Jeep, and from what I understand this is not recommended with the factory air lift system. Modifications I would like to do on the Grand Cherokee include a small lift kit to allow for larger tires (32" or 33" tires), Mopar rock rails to protect the rocker panels, and maybe an aftermarket bumper with a winch and skid plates. Our favorite place to visit is Ouray, Colorado, and exploring any Rocky Mountain roads is a joy, so having the Jeep set up to do what we want is our next goal. 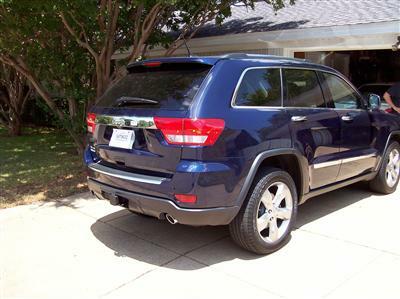 Oh, by the way, the Grand Cherokee is my daily driver (commuter) so going too extreme is not an option at this time. A couple of features that I really enjoy are the ventilated seats that keep our backsides cool in the summer and warm in the winter. Also, the Adaptive Cruise Control is cool in that it can be set at a desired speed with a designated length between the vehicles ahead...and the system automatically begins to brake (slow) the vehicle when it gets too close to a car ahead. So far I really like our Jeep and hope to get many miles of use out of it. Larry's Comment: Thanks, Bill. I enjoyed my test drive with you and your GC the other day. It really is a beauty, and performs great. One thing you are forgetting or aren't aware of is with your Jeep an option you get at no cost to you is "an attitude". It comes standard, but may take a few miles of driving before you are aware. I'm on my 4th Jeep and all have given me yeoman service. Good luck with your new Jeep and congratulations on your choice of change. 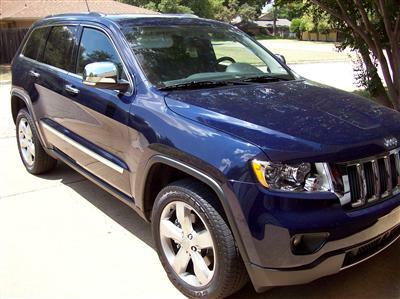 In 2012 the Altitude package was an option and it included more than just the 5.7 hemi engine. The Altitude package also has a higher trade in package, besides it is really cool. A black 2012 Jeep Grand Cherokee "Altitude" was in the 2014 Bantam Jeep Festival show and shine with 17 other Grand Cherokees and won 1st place. I really like the trophy.